Rural women play a crucial role for development. They are key agents towards achievement of relevant economic, social, and environmental changes required for a sustainable world. But limited access to education, health care, and credit are some of the many challenges they face. They make up 43% of the agricultural workforce worldwide and as much as 70% in some countries. With the same resources, women could do much more than men. This is what the Food and Agriculture Organization of the United Nations (FAO) estimates. If women farmers had the same access as men, agricultural output in 34 developing countries would rise by an estimated average of up to 4%. This could reduce the number of undernourished people in those countries by as much as 17%, translating to up to 150 million fewer hungry people. Although Brazil is an important agricultural and industrial power, poverty is widespread in some regions of the country. There have been recent improvements in income distribution, but income inequality and social exclusion issues still remain at the root of rural poverty. With 58% of its population living on less than two dollars per day, the northeast region struggles to meet basic needs. Despite the gains made in women’s rights over the past century, Brazil ranked 85th out of 207 nations based on the United Nations Gender Inequality Index, which measures women's disadvantages in the areas of labor force, empowerment and reproductive rights. These differences between men and women are more pronounced in the northeast area of the country. 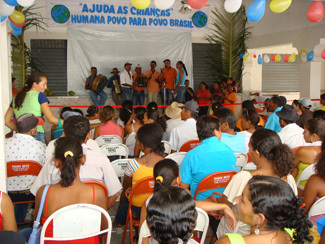 To address these issues, Humana Brazil has implemented a program to empower rural women in this region of the country. 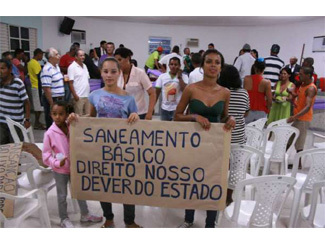 About 1,000 rural women from five municipalities of the area (Bahia Cansanção, Monte Santo, Quijingue, Tucano, and Euclides da Cunha), distributed in 54 productive groups, are part of the project that encourages their economic independence and entrepreneurship. 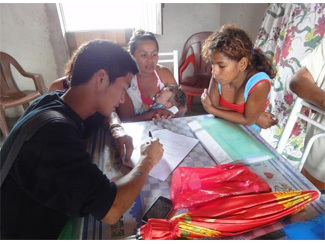 At the same time, Humana Fundación Pueblo para Pueblo continues the Community Development Programme in Itiuba, Cansanção, Quinjingue and Bahia, conducted in collaboration with HPP-Brazil. It consists of eight major lines based on the provision of the necessary skills to be the community that fosters the development, with special attention to the role of women.